During the past week we discussed about the decreasing value of Tether USDT; About BitFinex issues with the HSBC Bank, and about the gap that becomes wider and wider between USD and USDT. During the recent minutes, Bitcoin spiked to a high of $7079 on Bitfinex. The cause is likely to be heavy traders selling their Tether tokens (USDT) for Bitcoin. 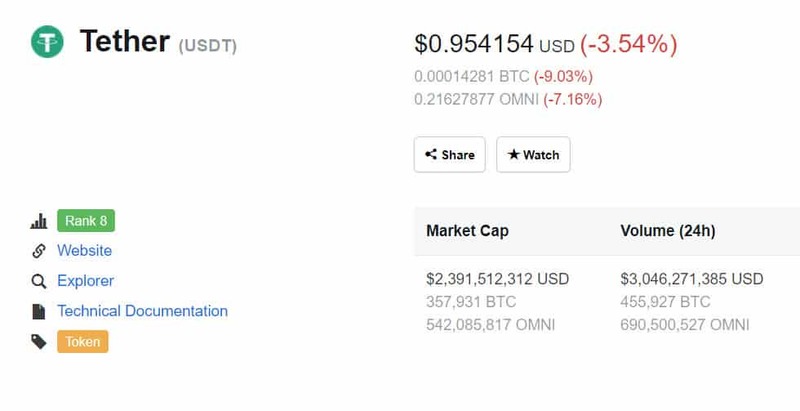 As of writing this update, one Tether that should be following the price of precisely one USD ($1.00) equals $0.95.5 which represents a daily 3.5% loss. Many traders saw Tether as their gateway to “seat aside” the crypto market, but due to the recent manipulation including the one we are currently suffering – they should look for other stable coins to replace Tether. The good news is that Tether has already done a lot of market manipulations, and for any chance, a Bitcoin ETF will be approved; those manipulations have to evaporate completely. Bitcoin 15 minutes chart – BitFinex. Cryptocurrency charts by TradingView.